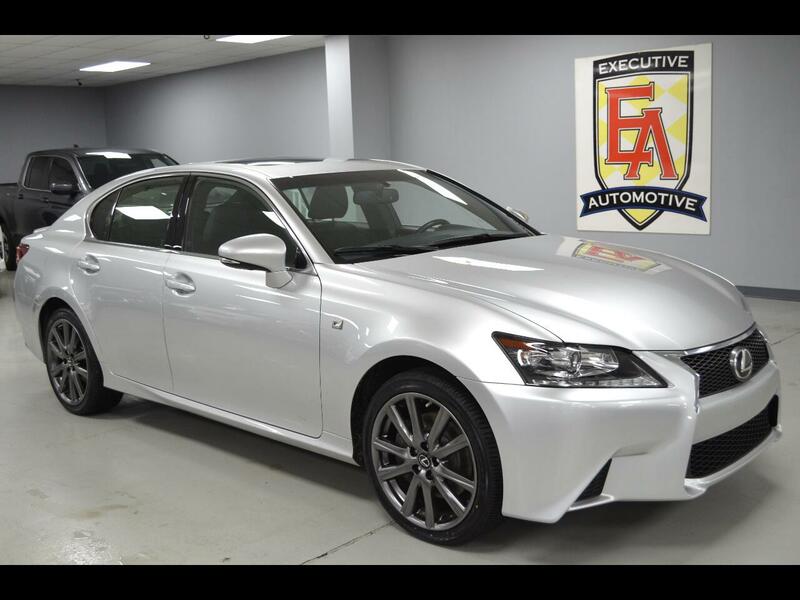 2015 Lexus GS350 AWD F Sport, Liquid Patinum with Black Leather, F Sport Package: Rain Sensing Wipers, Heated/Cooled Front Seats, Power Rear Sunshade, 19-Inch Split-Five Spoke Alloy Wheels with Dark Graphite Finish, F Sport-Tuned Adaptive Variable Suspension, 16-Way F Sport Drivers Seat with Power Side Bolster, Striated Aluminum Interior Trim, F Sport Front Bumper, Upper and Lower Grille Inserts, Rear Valance and Rear Lip Spoiler, Heated Steering Wheel, Water-Repellent Front Door Glass, High Intensity Heater. Options Include: Power Tilt/Sliding Moonroof, Navigation System with 12.3" Split Screen Multimedia Display, Back-Up Camera, Blind Spot Monitor, Brake Assist, Bluetooth Connection, Seat Memory, Push Button Start, Keyless Entry, Smart Device Integration, HD Radio, CD Player, MP3 Player, Auxiliary Audio Input, Steering Wheel Audio Controls, Cruise Control, Dual Zone A/C, Fog Lights, Illuminated Door Sills, Auto Dimming Rear-View Mirror, Driver/Passenger Adjustable Lumbar, Auto Leveling Headlights, Universal Garage Door Opener, Power Windows, Power Locks, Power Mirrors, Power Tilt Steering, Power Folding Mirrors and more! Contact Kyle Porter at 816-616-2500 or email: kyle@executiveautomotive.com for additional information. Thanks for your interest in our GS350!